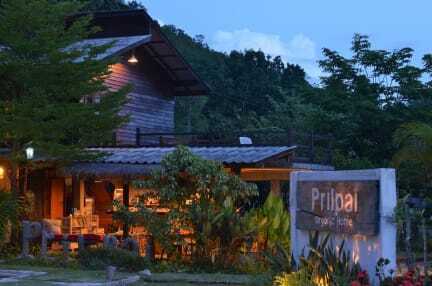 Prilpai Guesthouse offers small, warm and comfortable accommodation in Tumbol Mae Hi just outside Pai city center. Every room has a terrace and views of the mountains, and guests can enjoy a meal at the restaurant. Every room is fitted with a private bathroom. The Deluxe room and Family room have air-conditioning. 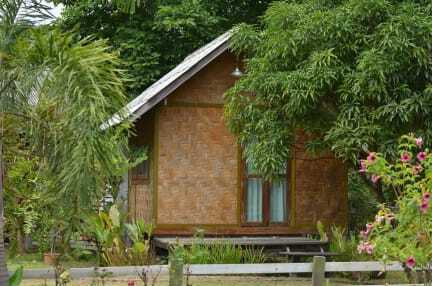 While the Cottages or Basic rooms have only fan. The guesthouse is surrounded with lots of tree. So it is not hot here.